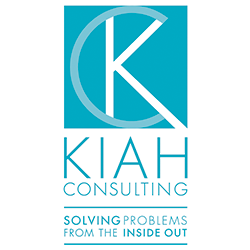 Kiah delivers “breakthrough consulting”. It may be the recovery of a wayward project, resolution of a dispute, contract restructure, complex procurement or pursuit, rapid program implementation or options to deal with a seemingly intractable problem. No two assignments are the same but most are characterised by ambiguity, urgency and challenge. Our business is fixing business problems, typically in and with the public sector. Our experienced cConsultants balance commercial imperatives with public sector values. We seek to leave a legacy of sustainable, self-managed outcomes appropriate for the client’s needs. Our success is built on strategy, insight and execution. Domain specific expertise in WHS, risk assessment and management, hazardous substances, IT, maritime services, internal and external stakeholder engagement, large scale commercial negotiation and procurement. Kiah brings commercial acumen to the public sector. We specialise in the rapid delivery of superior outcomes through innovation, design, alignment and purposeful execution. We provide essential assistance to organisations in the quest to improve commercial and operating practices. We facilitate the establishment of resilient, sustainable and best practice solutions. We have undertaken assignments leading or in support of projects, programmes, rapid acquisition, departmental and ministerial reviews. Our facilitative approach to leadership has delivered proven success for our clients. Success requires experience, appropriate process, good communication, facilitation and negotiation skills. Above all it needs good strategy. This is our space.